• Peer Review Tongji Architectural Design (Group) Co., Ltd.
• Peer Review China Team Engineering Consultants Ltd.
Main Contractor China Construction Third Engineering Bureau Co., Ltd.;	Jiangsu Zhongnan Construction Group Co., Ltd.
• Sustainability	 Environmental Market Solutions, Inc. 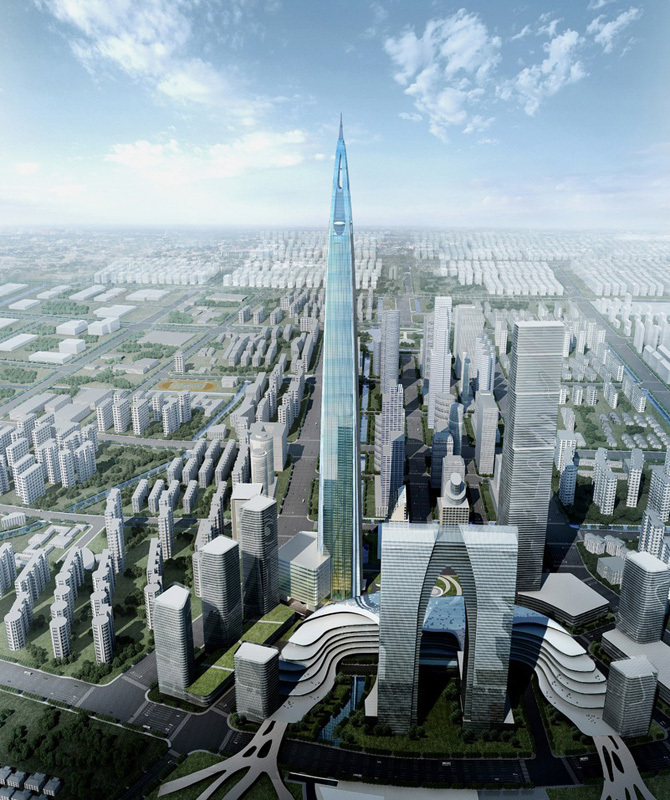 The design of the tower was inspired by Jiangnan culture, referencing its pointed pagodas and local artesian wells. At the base, the podium lifts upward to resemble a flying lantern, establishing a public plaza at ground level. As one enters the tower and moves inward, the interior geometry alters to indicate a transition from public to private space. The isolated podium attaches to the tower via a translucent façade, lit by fritted glass along the exterior. Unlike other buildings designed at this height, the tower is four-sided and features a consistently smooth facade. The consistent appearance is only broken by the louver systems at mechanical floors. The tower gently tapers as it rises, forming a pointed crown that caps the precipice. In addition to providing an aesthetically appealing terminus for the tower’s form, the crown also plays a critical role in the building’s structural performance. In a remarkable feat of engineering, it will contain both a 750-ton tuned mass damper (TMD) and a tuned sloshing damper (TSD). The tuned sloshing damper serves a double purpose as a container for emergency sprinkler water. 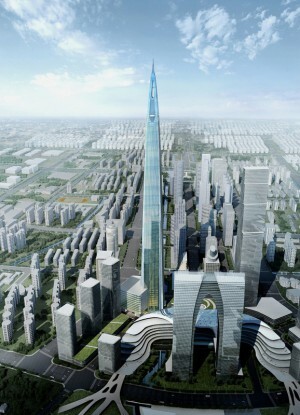 17 Sep 2014 – Presentation at CTBUH 2014 Shanghai Conference; Xin Zhao, Tongji Architectural Design (Group) Co., Ltd.